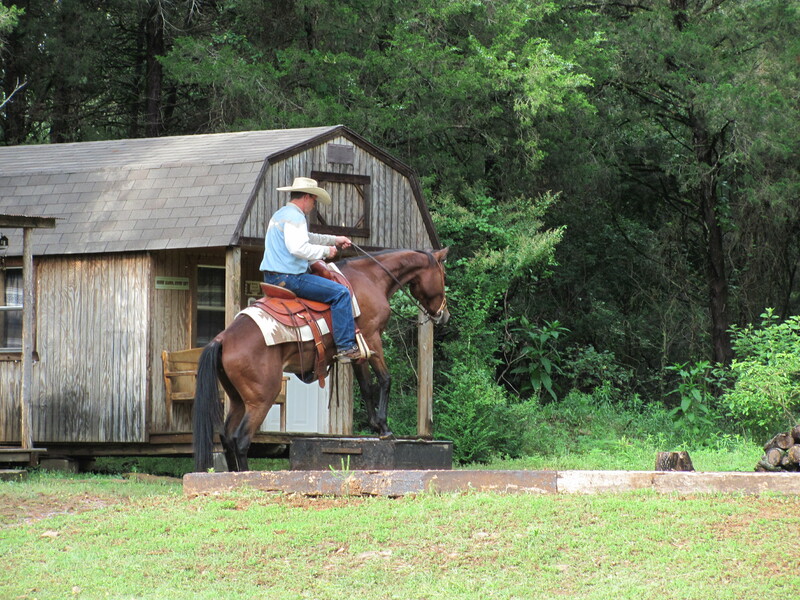 Pete was one of our horses we took to the trail challenge hosted by Horsemen of Arkansas. He did well considering he had never been to a competitive trail challenge and the weather events. It was pouring rain during the morning and the horses were all put in the trailer to dry off just a little. We saddled in the trailer and led them over to a covered arena with open air walls. There was a thunder and lightning storm taking place and Pete found himself in the a new environment. Lots of strange things to walk over, under, jump and go around in a big room with lots of strange noises. 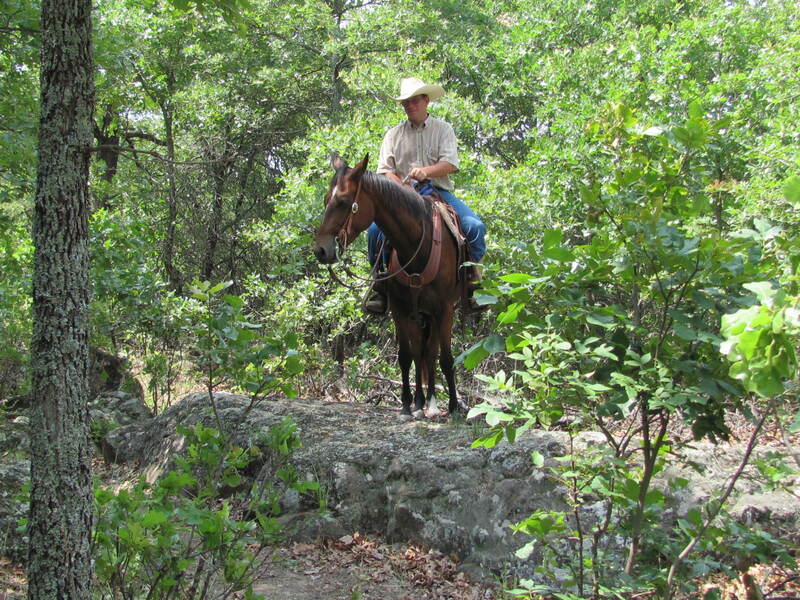 Pete, like most of our horses, has seen a lot of trails and natural obstacles. He hadn’t seen many of the manmade obstacles or this arena. We were pleased Pete held to his training as did all the horses we took. It wasn’t our plan to take home prizes or ribbons. 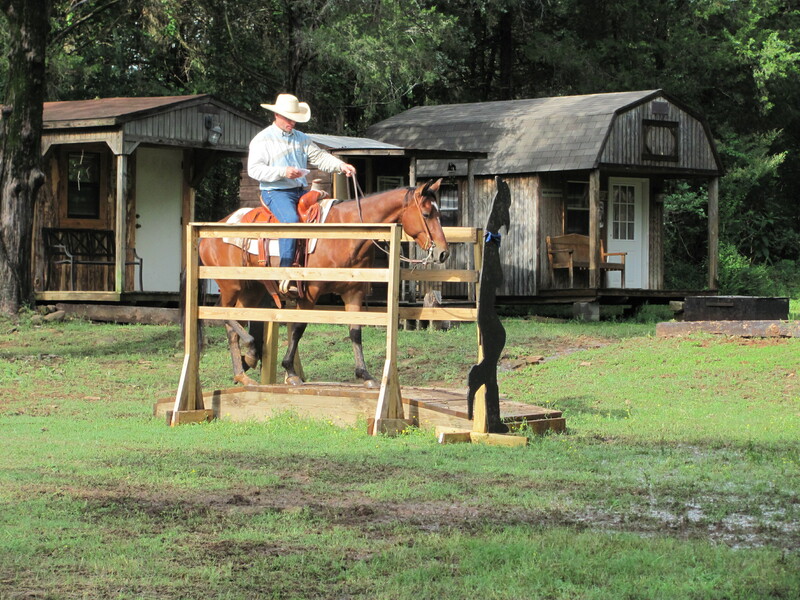 Instead, we wanted to test the training Pete and the other horses had received. We want and expect these horses to face new obstacles and situations calmly and quietly. We don’t want to see a panic, buck, rear, or other improper behavior. It is fine to be a little uncertain or question what is taking place, but it must be done with a willingness to try to overcome the situation without getting overly excited. 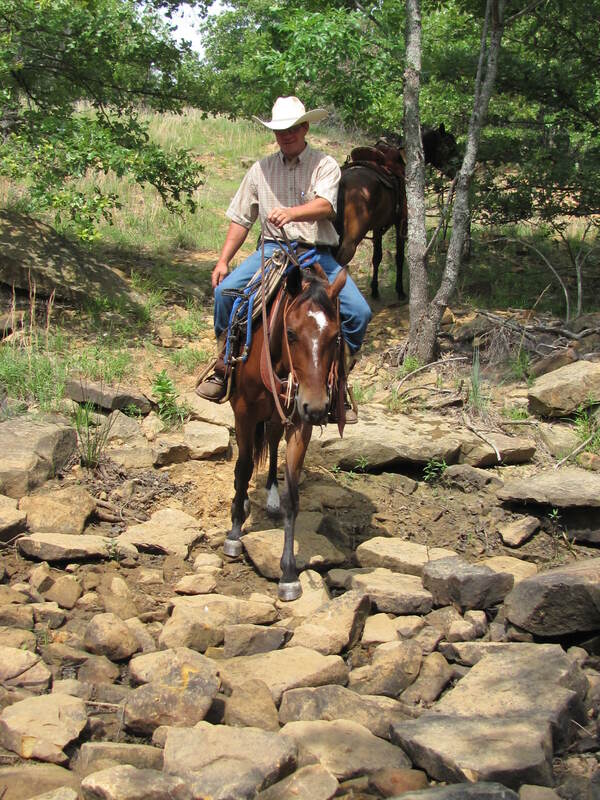 You can never anticipate what a good trail horse may eventually run across and maintaining a calm disposition is essential to safety. 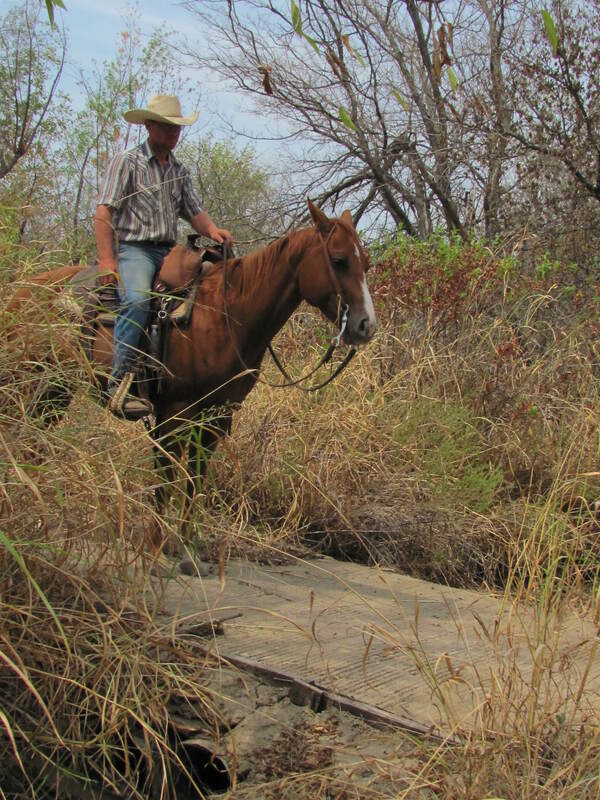 Pete ended up in a division competing with horses and riders that had previously been through previous trail challenge events and some were even familiar with some of the obstacles at this event. The competition, though friendly, was filled with experienced participants. 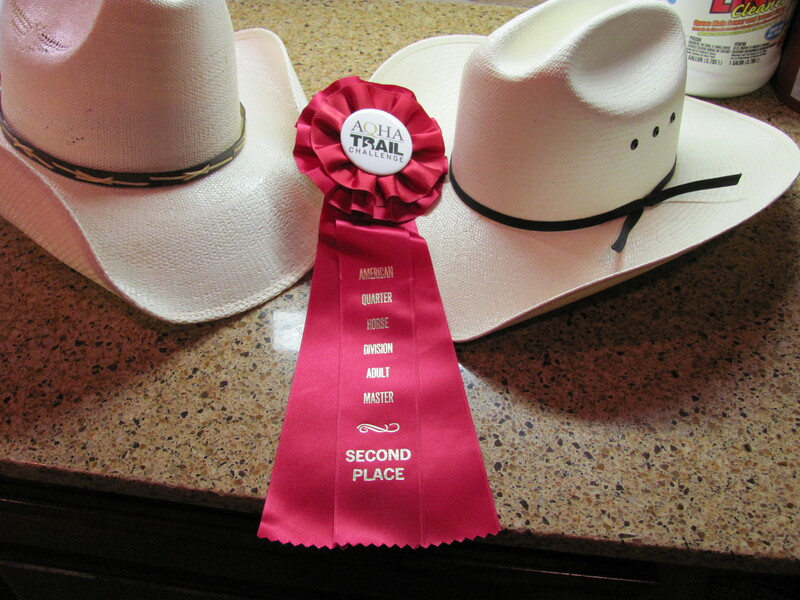 In the AQHA class, Pete performed well with Shawn riding him and got a pretty red ribbon to hang on the wall. The photograph on the top shows him in the afternoon session after the weather broke taking a run at stepping up on the black box. Overall, we were happy with Pete and his willing attitude. He’s a great little gelding! Guess we’re getting old and it’s startin’ to show. Words keep changing and just don’t mean the same thing they used to mean. Take the term “horse rescue”. Just doesn’t mean the same thing anymore. In the days when we were brought up, a horse rescue meant you used the horse to save a person. Like when the little 83-year-old lady with some dementia wandered away from the house and got lost in the woods. The whole town came out to help look for her with horses, dogs, and on foot. Today “horse rescue” means you rescue the horse. I suppose we like the old meaning better. It meant the horse was useful and served a valuable purpose and got credit for doing a job that needed to be done. The people in a bind got the help they needed. Words may be changing, but one thing hasn’t changed. The horse community is full of good folks ready to pitch in when there’s a need. At the end of the day, the words don’t matter near as much as generosity, kindness, and willingness to help your neighbors and community. This spirit still remains strong and active in the equine industry. You know, for some old guys that don’t know much, this sure seems like a great place to live! By the way, the horse in the photo is Pete. Rocks are common where we ride. This creek bed is typical. Pete, like the rest of the horses in the training program, aren’t shod. We want horses with sound feet and able to work without the need for shoes. Years ago we used to keep a number of horses shod and finally decided it wasn’t worth it. Aside from the expense, the timing always seemed to be up to Mr. Murphy. You know the guy who came up with Murphy’s Law, the one that says the shoe will come off in the trailer on the way to the trail ride. 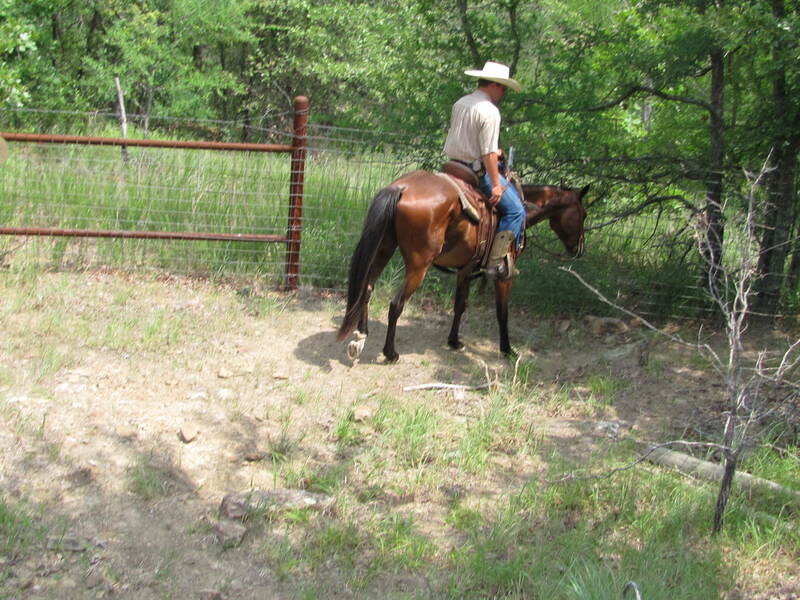 We decided horses don’t have shoes in the wild and ours don’t need them either. Granted some horses have soft feet due to breeding and genetics, those horses don’t pass the test here. Sort of like boot camp, they either toughen up or we wash them out. 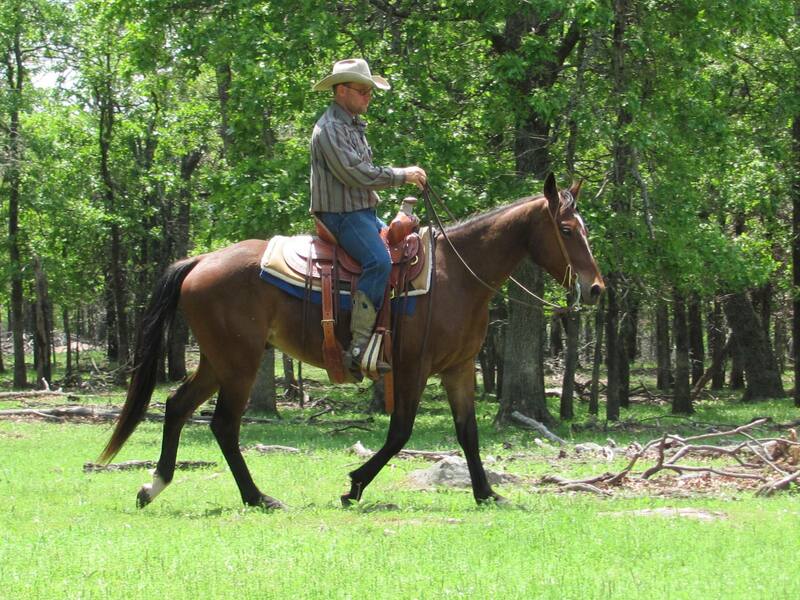 Good feet and sound legs are physical foundation of a good trail horse. Hi, I’m Pete. 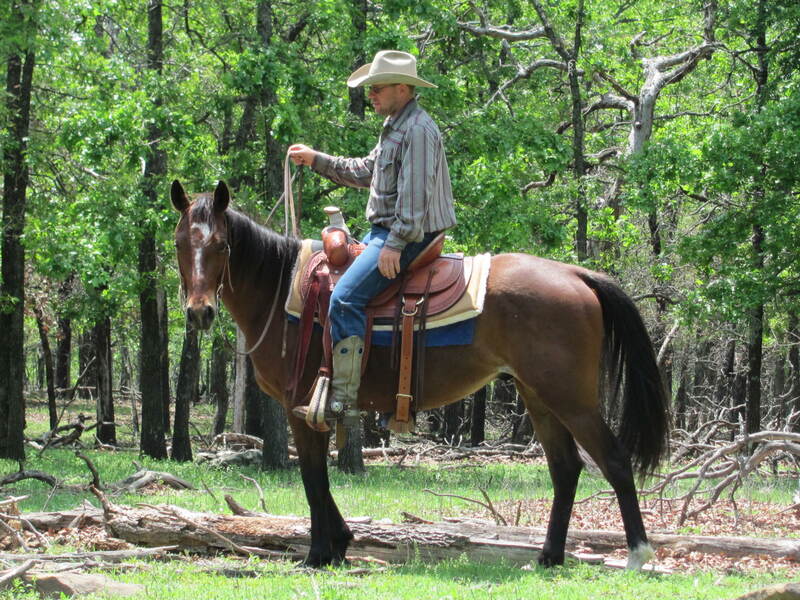 I am an AQHA registered quarter horse and just finished the first year of the two-year trail horse program. It seems to be going pretty well and everyone seems pleased with my progress. I have cutting horse blood in my veins and I am quick on my feet. I can spin fast. The guy sitting on my back wants me to spin once in a while, but mostly we keep to the trails. 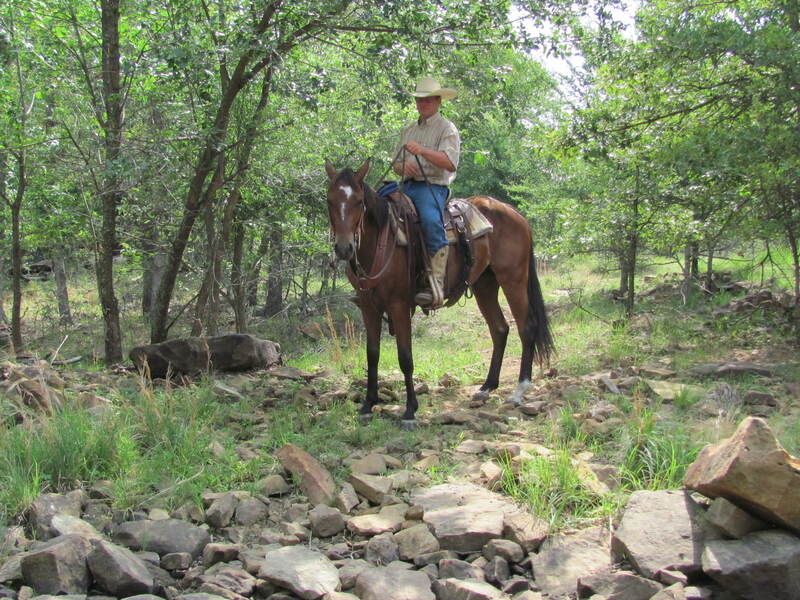 I neck rein with a light touch like a good trail horse and know what whoa means. I also know what happens if I don’t whoa. If you forget what whoa means he makes your feet move till you get real tired. I figured out you better stop fast when you hear whoa. 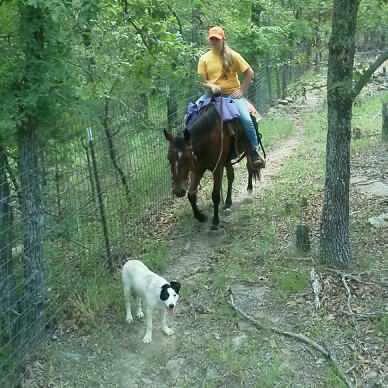 One of my favorite things to do at the ranch is trail the goats. It’s these little animals with horns running around everywhere and I like to just follow them thru the trees and rocks. I can keep up with all the zigging and zagging they do and can go anywhere they can. Wish the guy on my back would let me do it more, but he keeps making me go back to work on the trails. I thought about working as a competitive reining horse when I grow up, ( the talent is there ), but I’m glad to be in the trail horse program ’cause I like people. Well I gotta go or else someone’s going to eat my feed! Click here to check out what Pete has been up to! You are currently browsing the archives for the Meet Pete category.